It takes skill, experience and resourcefulness to successfully recover financial compensation in a defective auto part case. Proving that a faulty part was the cause of your accident and the resulting injuries often deals with complex manufacturing methods and accident data. Combining that with the medical evidence necessary to establish the full value of your case requires collaboration with specialized medical experts and accident reconstructionists. At Carluzzo Rochkind & Smith, P.C., we have handled these types of cases for over 25 years for families in Manassas, Prince William, Manassas Park, Gainesville, Haymarket, Woodbridge, Lake Ridge, Dumfries, Bristow, Warrenton, Centreville, Fairfax, Stafford, Chantilly, Leesburg, Ashburn, Sterling, Herndon, Reston, Alexandria, Annandale, Arlington, and throughout Northern Virginia. We regularly lead cases seeking compensation on behalf of our injured clients against large corporations and tough insurance defense teams. Some of the members of our firm are former insurance defense lawyers who will help to prepare both the offensive and defensive measures that are necessary to counter the strategies employed by the opposing parties. 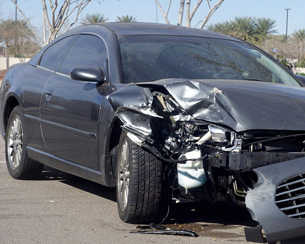 How Do You Know If Your Accident Was Caused By An Auto Defect? Honestly, you can’t be certain without a thorough independent investigation. You and we might suspect a faulty air bag, a stuck gas pedal or defective tires, but the only way to be certain and to collect the proper evidence for your case is to work with automobile mechanical experts. The cause of your accident might be similar to those of other owners of the same vehicle or car brand. It might be part of recall, or it could be the reason to trigger a recall if we can prove your case in court. Our team will fight for your maximum compensation, including medical expenses, lost wages, vehicle repair costs, pain and suffering damages, rehabilitation and long-term care costs, and wrongful death benefits, if necessary. Please contact us by email or call us at 703-361-0776 to schedule a free initial consultation with an attorney. We handle all accident cases on a contingency fee.